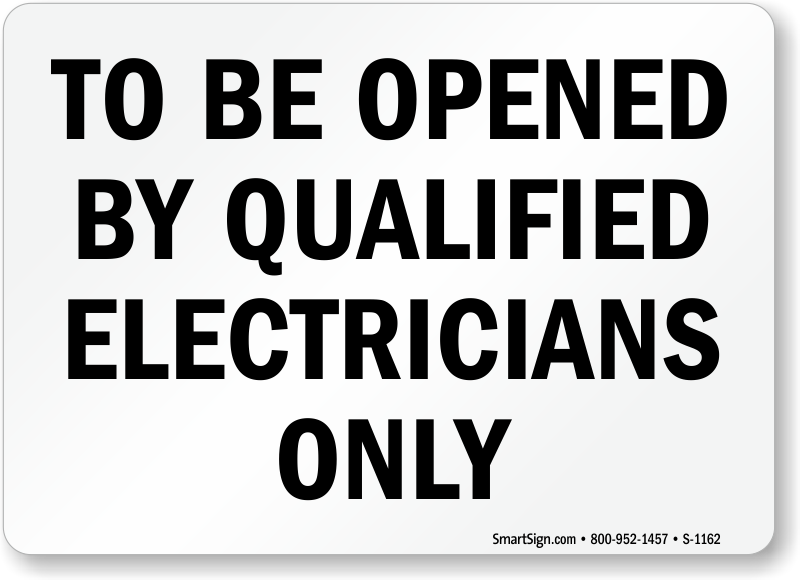 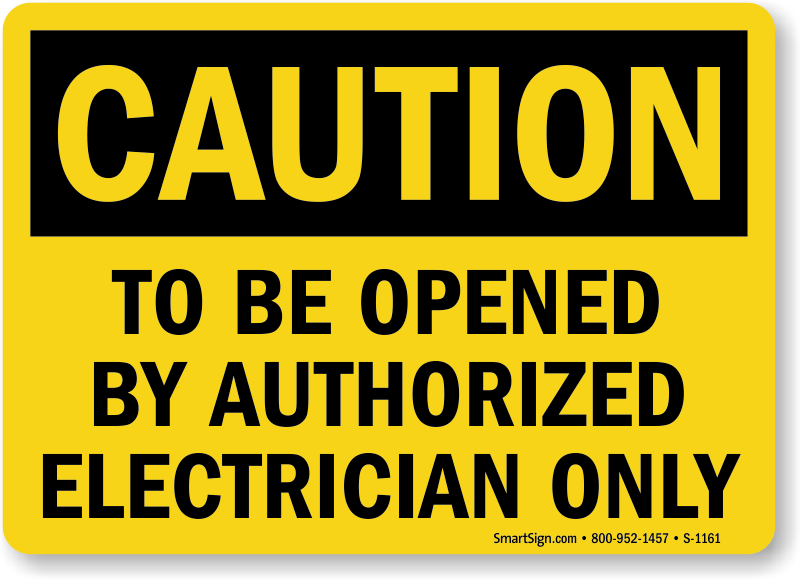 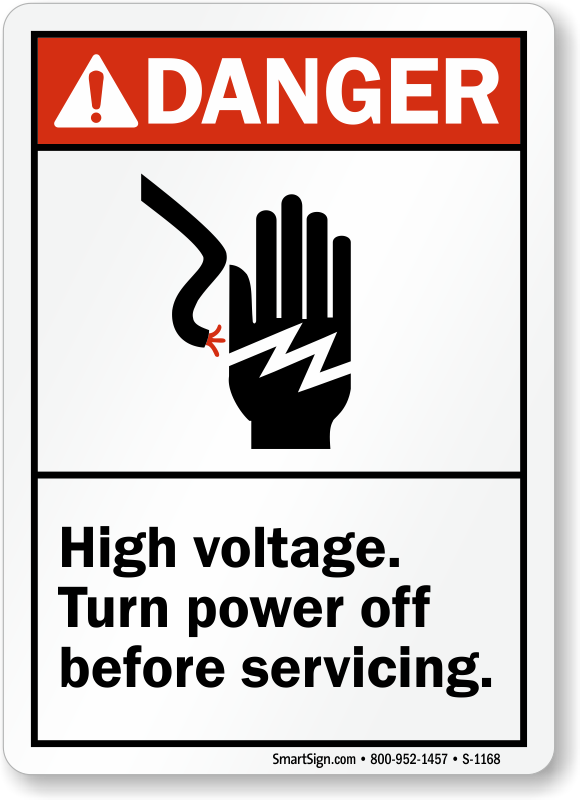 Prevent electrical accidents with these electricians’ only labels. 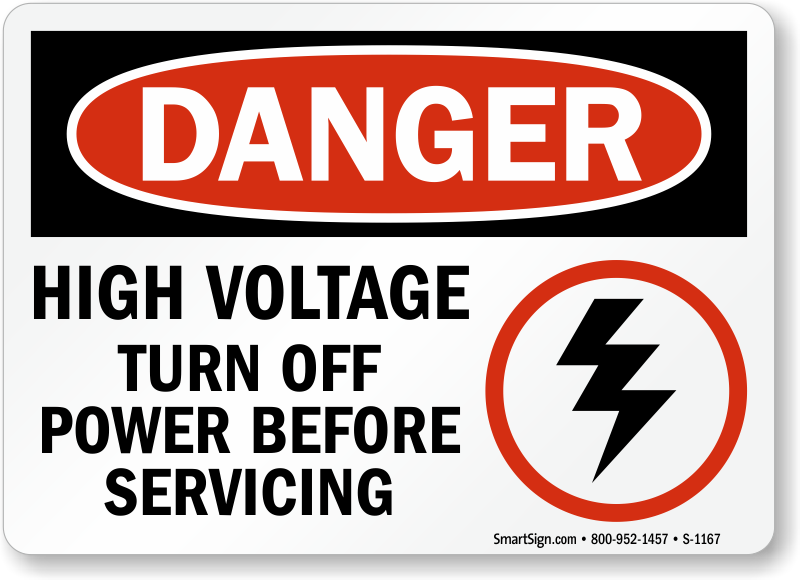 They are perfect reminders to be aware of electrical hazards. 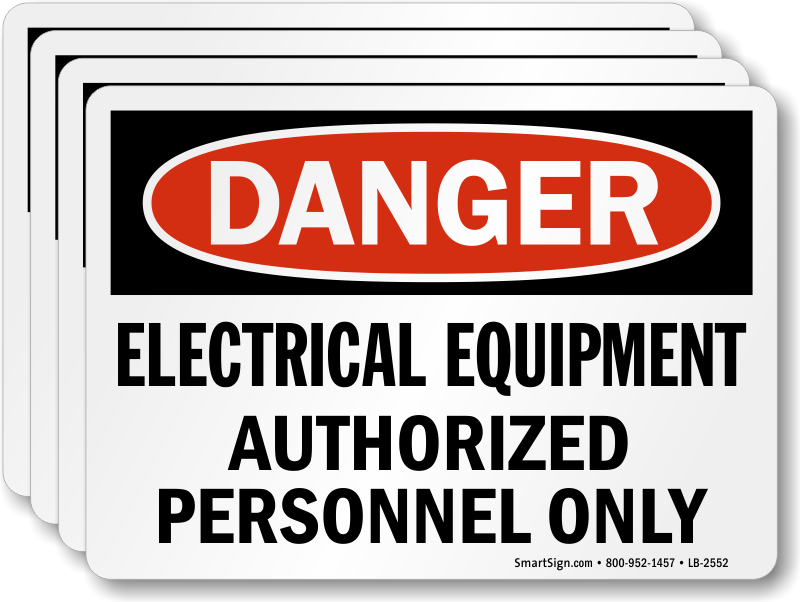 Unmarked electrical equipment can result in serious injury. 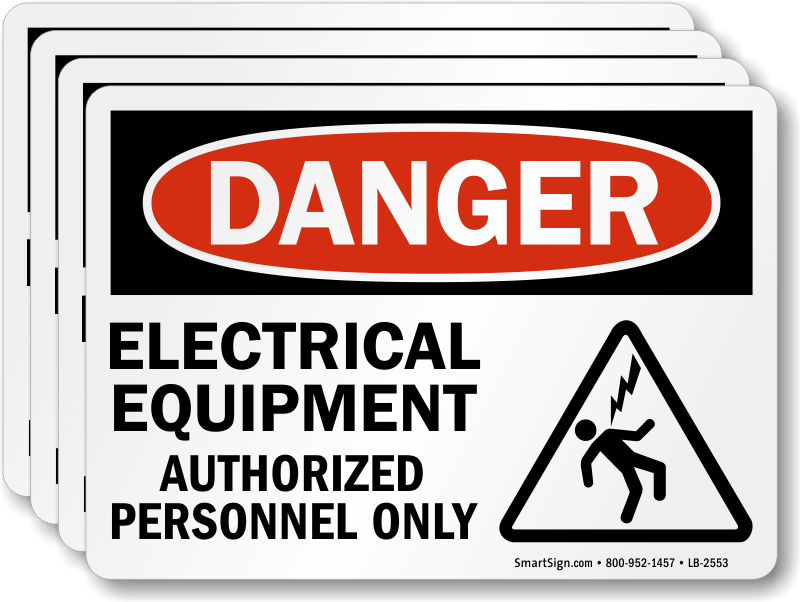 Electricians only labels can discourage unauthorized persons from going near electrical equipment and hence curb preventable accidents. 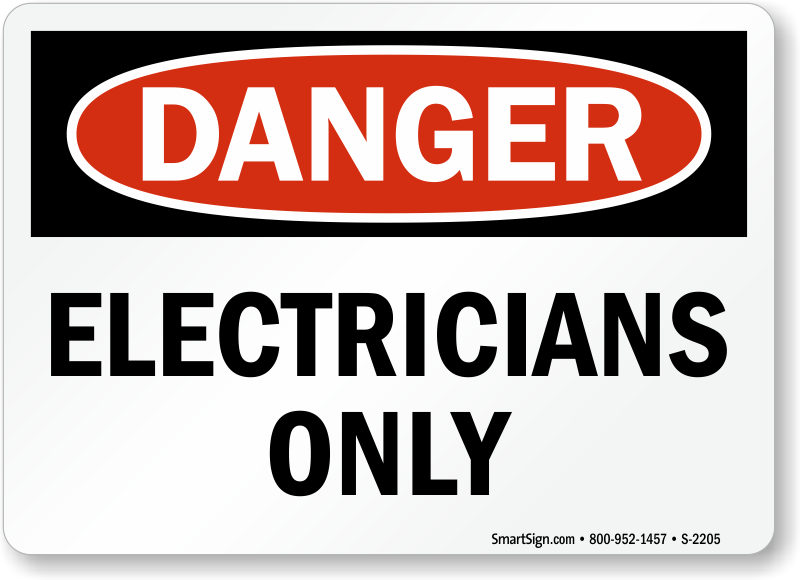 Protect your workforce by marking hazards clearly. 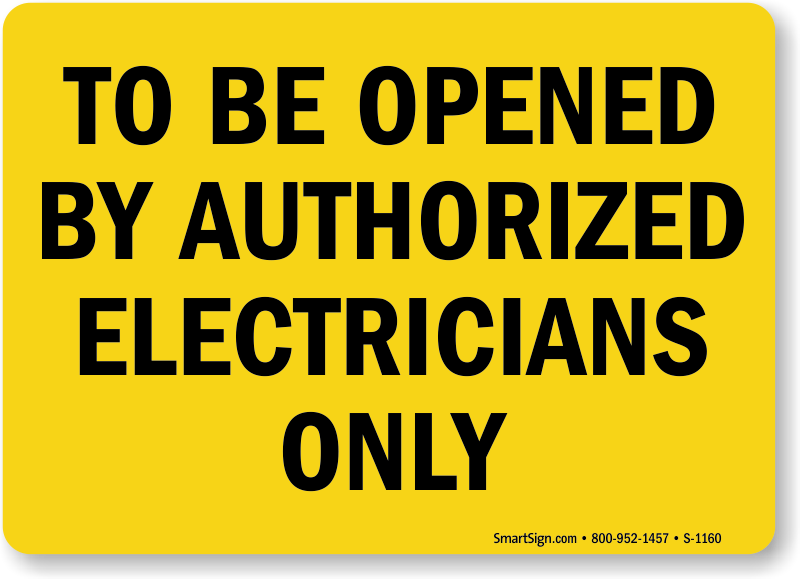 • 4 mil thick, laminated vinyl labels resist fading, high temperature. 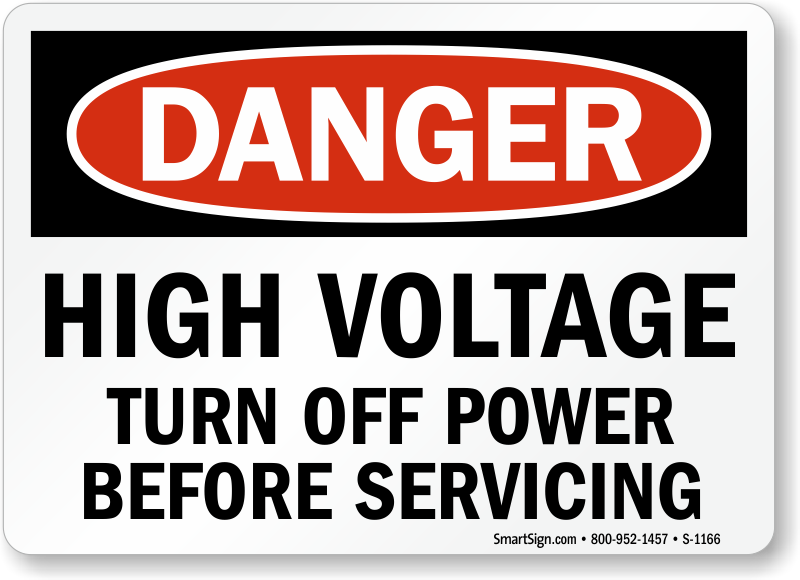 • Electrical safety labels are available in many materials and sizes. 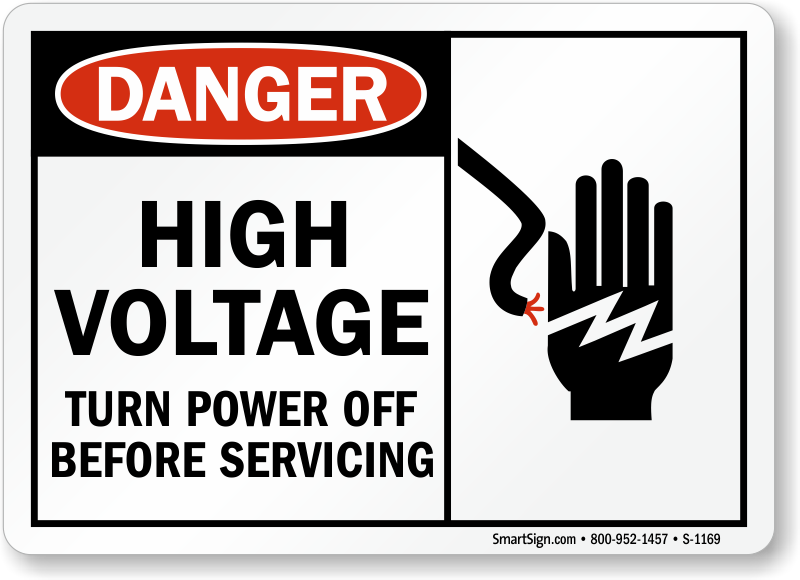 • Self-adhesive labels are ideal for marking potential life-threatening conditions on switch plates, electrical panels, conduits, or machinery. 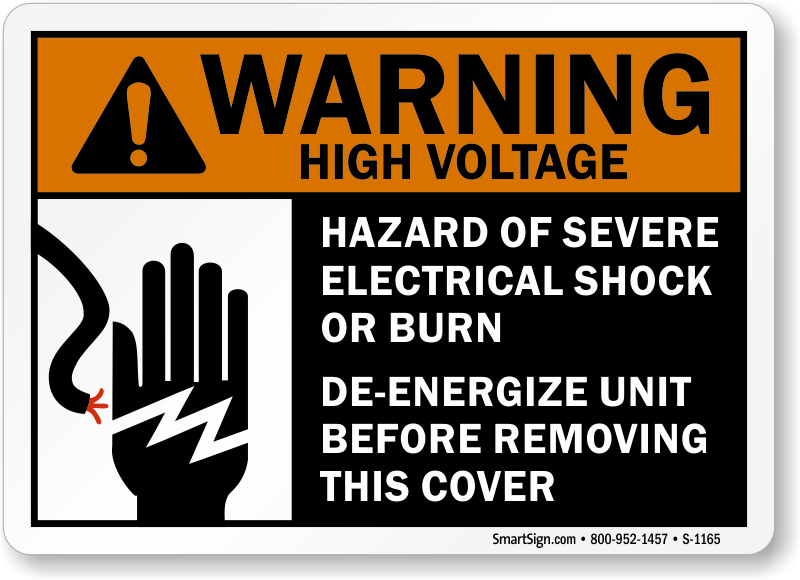 • To see a preview of prices and materials, hover your mouse over any of the electrical hazard labels below.